Would you like to celebrate the new doctors who successfully defended their theses the previous academic year? Just like Kristin Halvorsen, you should then set aside a few hours on 11 September! During the ceremony, NMBU will thank each former doctoral candidate for their substantial efforts contributing to the high quality research conducted at the university. 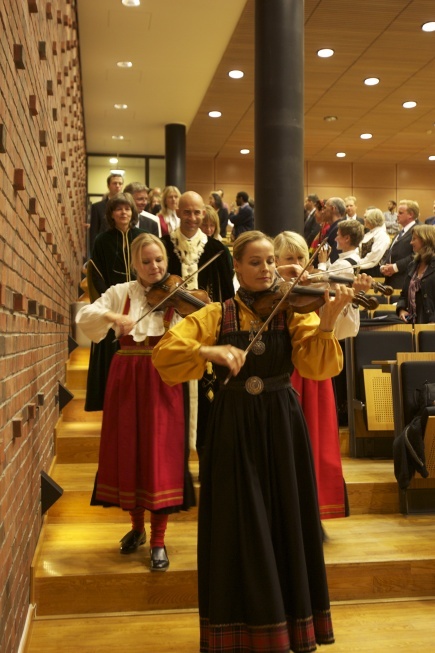 The former Minister of Education and Research, Kristn Halvorsen, will be at the ceremony. 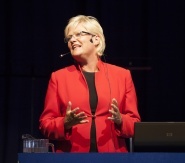 Halvorsen is currently the Director at Cicero, the Center for International Climate and Environmental Research – Oslo. She will address the new doctors and their guests. At the doctoral ceremony, NMBU will honor the candidates who defended their theses at NMBU spring 2014 and at UMB autumn 2013. NVH candidates who defended in the autumn 2013 have been celebrated previously. All are welcome to attend the ceremony. The ceremony will be held at the Arabidopsis Auditorium in the Biotechnology Building at 14:00-16:00, Thursday, 11 September 2014.